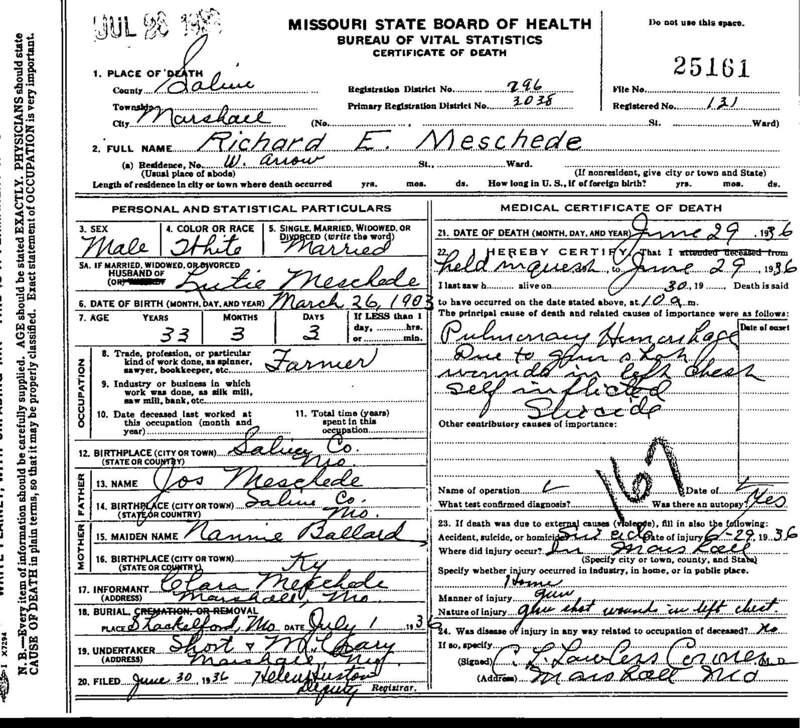 "Death Record - Richard Edward Meschede"
Cause of death: Pulmonary Hemorrhage, due to gun shot in left chest, self inflicted suicide. Death location: Marshall, Saline County, Missouri. Burial location: Mount St. Mary's Cemetery, Shackelford, Saline County, Missouri.